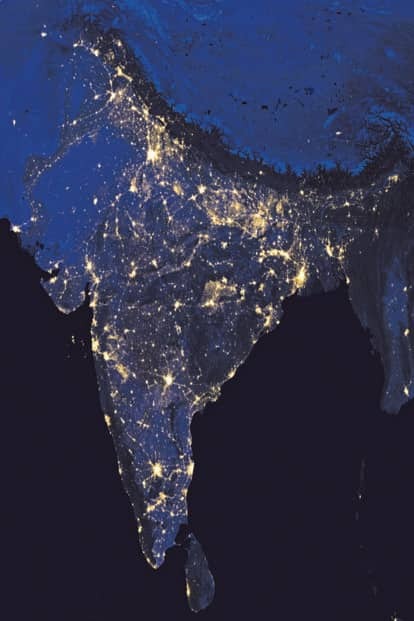 Prime Minister Narendra Modi, at the launch of the power for all scheme, Saubhagya (which promises electrification of all households), presented India’s night-time light (NTL) satellite images for 2012 and 2016 released by the US space agency Nasa recently. NTL images capture light resulting from human activity that is reflected to the outer space at night. In the absence of reliable and granular datasets, recent research indicates that NTL is a powerful tool for economists and a good proxy for urbanization, electricity consumption, and economic activity. 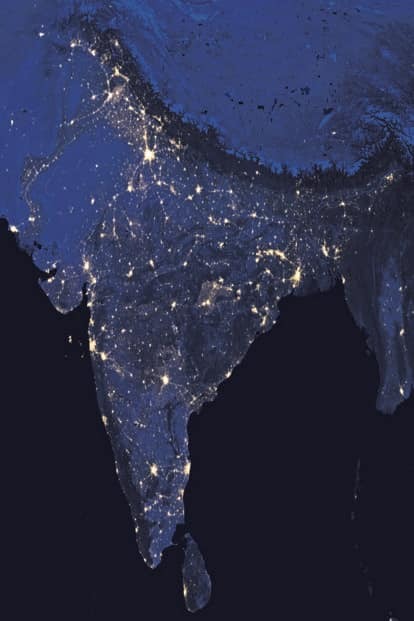 As proof of his previous ministry’s progress, Piyush Goyal also shared the two images on social media—contrasting a relatively dark India in 2012, with a well-illuminated satellite image from 2016. Attributing this to the success of the power ministry in the last three years is a fair assumption to make. Which programme’s success could be reflecting in the satellite data? To understand ground realities and ascribe changes in satellite data to policy developments, it is best to validate NTL with national accounts or household survey data. One such attempt was made to track electrification in Vietnam using night-time lights by Brian Min and Kwawu Mensan Gaba. It was found that electrified villages appear brighter in satellite imagery because of public lighting, and subsequently, brightness increases with the number of streetlights. In contrast, the correlation between light output recorded by the satellite with household electricity use and access is low. Processed satellite NTL data registers a one-point increase in brightness for every 60–70 additional streetlights or 240–270 electrified homes. This implies one streetlight—as captured by NTL—is at least four times the weight of an electrified household from outer space. In 2015, the Central government launched the Unnat Jeevan by Affordable LEDs and Appliances for All (Ujala) programme, the world’s largest LED bulb distribution scheme to promote efficient lighting and reduce energy consumption. Under Ujala’s street lighting component that aims to replace conventional street lights with LEDs, 50,000km of Indian roads have been illuminated till August. The nationwide push for Ujala is unprecedented—this effort in other countries being the prerogative of local governments. With 290,000 street lights retrofitted in Delhi alone, and three million across the country, New York’s initiative to retrofit its 250,000 streetlights with LEDs—the largest effort to date in the US—is minuscule in comparison. The most economical LEDs are whiter, brighter and richer in short-wavelength blue and green light. Though LED lighting is 2.5 times more luminous than conventional street lamps, it doesn’t get recorded in the 2012 and 2016 images because the Visible Infrared Imaging Radiometer Suite (VIIRS) Day/Night Band (Dnb) night-time sensor, that records these satellite images, is “blue-blind", i.e., it is not sensitive to wavelengths shorter than 500 nanometres (blue and green spectrum). Even though Ujala has been undertaken on a war-footing, the “blue blindness" of the sensor will therefore suggest that cities are getting darker when that is unlikely to be the case. This should serve as a caution to policymakers about the constraints of NTL data to reflect policy changes on the ground. In light of this evidence, it is imperative to analyse the progress made by the other flagship programme of the power ministry—the village electrification programme. Under the Rajiv Gandhi Grameen Vidyutikaran Yojana (RGGVY)—started in 2005 by the United Progressive Alliance (UPA) government—most of the gains had been made before 2012. At its peak, 28,000 villages were electrified in 2006-07, and over the two UPA terms, around 100,000 villages had been connected to the grid. In 2015, the Modi government rehashed RGGVY as the Deen Dayal Upadhyaya Gram Jyoti Yojana (DDUGJY) which was to electrify the last 18,000 dark villages. According to data released by the Press Information Bureau, although 12,300 villages were electrified between 2012 and 2016, data from the Grameen Vidyutikaran (GARV) dashboard tells us that DDUGJY managed to connect 100% households in only 8% of the villages electrified. Modi at the launch of Saubhagya, stated that from a target of 18,000 villages, less than 3,000 are left to be electrified. However, a village is considered to be electrified if just 10% of the total number of households have an electrical connection, along with the electrification of basic public amenities like schools, panchayat office, health centres, etc. What necessitated Saubhagya is this loose operating definition of an electrified village on which rural electrification programmes of both the UPA and National Democratic Alliance governments were based. Visibly, eastern Uttar Pradesh and Bihar are significantly more lit in the 2016 image. Since neither Ujala, nor DDUGJY offer any compelling explanation for the sudden spike in brightness, could it simply be reflective of the more enduring and robust correlation of NTL, population growth and ensuing economic activity? Saubhagya is a substantive step in the right direction. Although between 2012 and 2016, the village electrification schemes are unlikely to have added significantly to NTL. If the ambitious household electrification scheme is indeed able to bring last-mile electricity connectivity in rural and urban areas by December 2018, the NTL images are bound to be significantly brighter in the coming years.